This weeks edition of ESPN’s Sunday Night Baseball presented by Taco Bell is a very special presentation. That is because it will come live from Fort Bragg, North Carolina. This week on ESPN’s Sunday Night Baseball presented by Taco Bell, the Miami Marlins will take on the Atlanta Braves live from Fort Bragg, North Carolina. It marks the first time ever that a Major League Baseball game has been played at the military base. The game, the last in a four-game series between the NL East opponents, will be played at a brand new 12,500 seat baseball stadium on the base. Dan Shulman will have the call for Sunday night’s game. He will be joined in the booth by analysts Jessica Mendoza and Aaron Boone. Reporter Buster Olney will be on hand for all of the latest in-game interviews and news. 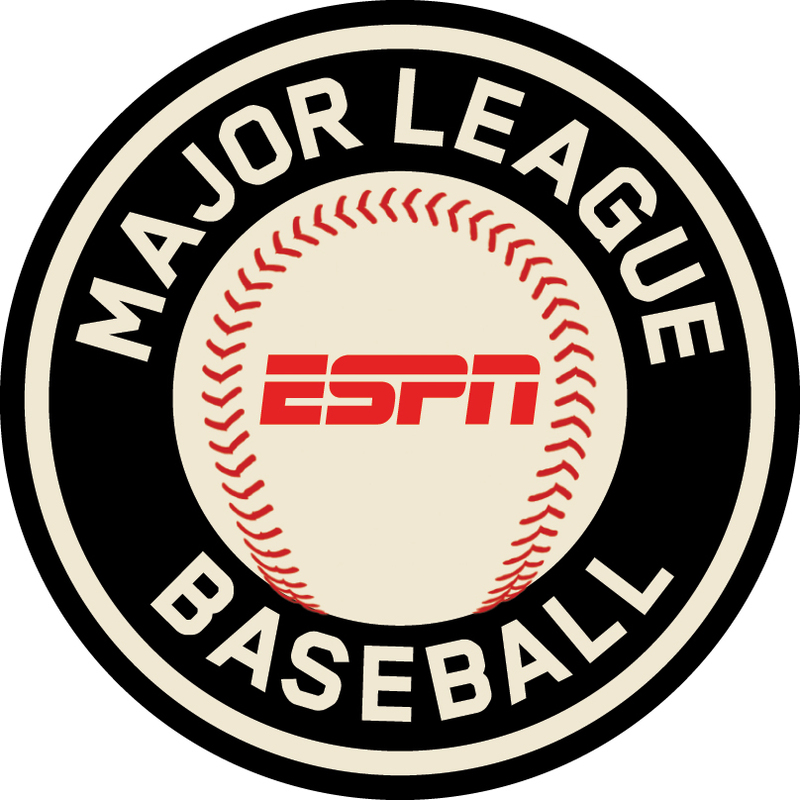 Sunday night’s broadcast of Sunday Night Baseball presented by Taco Bell will be preceded at pm ET by ESPN’s weekly MLB pre-game broadcast of Baseball Tonight: Sunday Night Countdown presented by Chevrolet. The one-hour broadcast will come live from Fort Bragg, too, beginning at 7pm ET. Major League Baseball’s 2016 season is almost halfway over. And with the All-Star Break just around the corner, Turner Broadcasting has announced the upcoming return of its weekly MLB broadcast Sunday MLB on TBS. Sunday MLB on TBS makes its annual return on Sunday, July 10th. That is only two weeks away. The network’s annual Sunday night MLB broadcast makes its 2016 debut with a matchup between the Washington Nationals and the defending National League Champion New York Mets. Coverage of the game is currently expected to begin at 1pm ET. Three-time Sports Emmy Award®- winning commentator Ernie Johnson will have the call for the game. He will be joined by MLB on TBS analyst Ron Darling. Week two of Sunday MLB on TBS will feature a cross-conference matchup between two of the league’s top teams, the Chicago Cubs and Texas Rangers. Coverage is currently expected to begin at 2pm ET and will be shown locally in Texas. Brian Anderson will be in the booth for the game. He will be joined by MLB Hall of Famer Cal Ripken, Jr. for additional commentary. These are just a pair of games currently set for TBS’ 2016 Sunday MLB on TBS schedule. This year marks TBS’ 9th consecutive year of live MLB regular season coverage. Including the games scheduled for July 10th and 17th, Sunday MLB on TBS is set to feature a total of 13 regular season afternoon telecasts along with an equally extensive post season schedule. That schedule includes the presentation of the American League Wild Card Game, and both the ALDS and NLDS. All Hail The Yeti is heading out on the road this summer. The band has announced that it will embark on a four-week headlining tour this summer in support of its latest album Screams From A Black Wilderness. The tour launches Friday, July 29th in Tempe, Arizona and runs through Friday, August 26th in Salt Lake City, Utah. 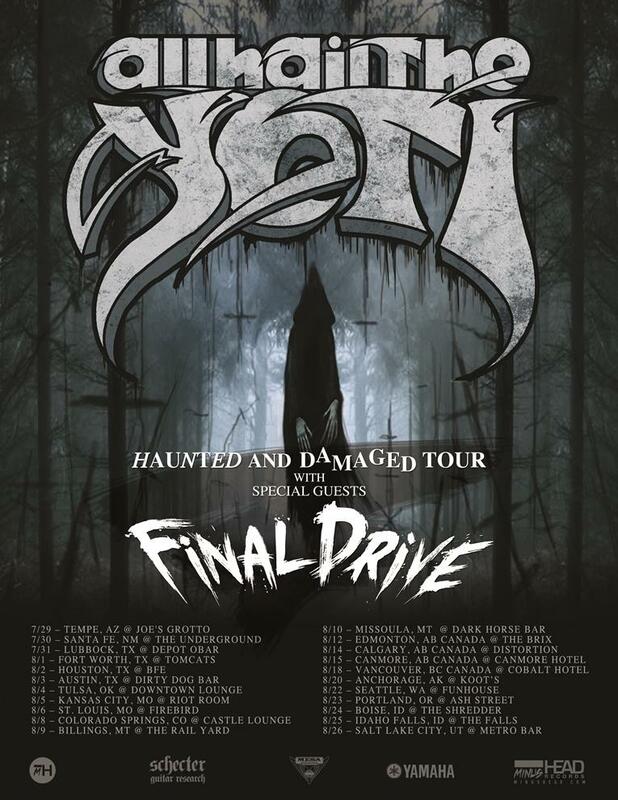 St. Louis, Missouri-based Final Drive will serve as direct support for All Hail The Yeti on the upcoming tour. AHTY front man Connor Garritty noted Final Drive’s addition to the tour in a statement about the tour along with a note about what fans can expect in the band’s upcoming live dates. “We are very excited to be back on the road doing what we love. It’s been a while but we want to thank all our fans for being so patient. You will not be disappointed!,” he said about the tour. In regards to the addition of Final Drive to the tour he said, We signed up Final Drive from St. Louis to directly support us every night. They are a great band with tons of energy! We hope to see all of our followers out there – the storm is coming! HAIL!” The schedule for the bands’ upcoming tour is noted below. In related news, AHTY bassist Nicholas Diltz has launched a new side project dubbed Day of Errors. The band features Joe Amodeal on guitar and legendary drummer Bill Ward (ex-Black Sabbath) behind the kit. The band will perform TONIGHT at 8pm at Lucky Strike Live in Los Angeles, CA. The show is 21+ only. Doors open at 8:00pm. More information on tonight’s show can be obtained at http://www.luckystrikelive.com. As an added note, while Diltz has started this new band, he is still a full-time member of All Hail The Yeti and will be alongside his AHTY band mates on the “Haunted and Damaged” Tour. The Littlest Pet Shop is officially open for business once again. That is because Shout! Factory Kids has released yet another new compilation of episodes from the family favorite animated series. 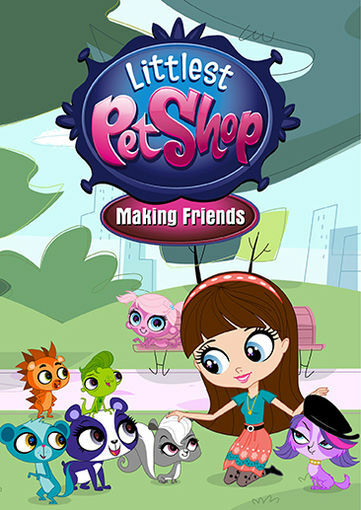 Littlest Pet Shop: Making Friends was released in stores and online earlier this month. And there is plenty for parents and children alike to appreciate about this latest collection beginning with its episodes. They are collectively just one of the collection’s important elements. The writing behind each episode is just as important as the episodes. Last but not least of note within these episodes are the musical numbers presented throughout. Each element proves important in its own right to the whole of Littlest Pet Shop: Making Friends. Altogether they make this latest collection of episodes another little collection that once again boasts lots of big fun for the whole family. Shout! Factory Kids’ new Littlest Pet Shop DVD Littlest Pet Shop: Making Friends is another little collection that once again boasts lots of big fun for the whole family. This is due at least in part to the episodes that make up the body of the collection. This new DVD, the series’ tenth, features five more (technically four since one of the episodes is a two-part episode) episodes loaded with fun for the whole family. What especially makes the episodes themselves so important to the collection is that each one follows the same underlying theme of making friends. That theme is presented in different ways from one episode to the next and will be discussed shortly. That is tied into the episodes’ writing. The continuous theme presented throughout these episodes is just one part of what makes the episodes important to note in this collection. Audiences will be just as happy to note in this collection that all five (or four, whichever side of that argument one chooses) episodes come from the same season—Season 3. Adding to that all they are presented in chronologic order for all intents and purposes. Obviously not every episode from Season 3 is here. But in examining the order of the episodes presented on the disc, they are presented in the same order as they appeared in their original broadcast. All that was missing was the episodes in between. Though, many of those other episodes have already been presented in previous LPS collections. One can only hope that eventually after the series’ full four seasons have been presented in its standalone sets, the whole of Season 3 (and the series’ other three seasons) will see a proper complete release for true fans of the series. That is a discussion for another time. Getting back on track, the episodes presented in LPS: Making Friends prove in the end to be hugely important to the set’s presentation. They are collectively not the set’s only important element. The actual writing within the episodes is just as important to note as the episodes themselves. The episodes that are presented in Shout! Factory Kids’ new LPS collection are in their own right hugely important to the set’s presentation. One reason for that is that all of the set’s featured episodes follow one continuous theme. The theme in question is indeed that of making friends. Adding to that is the fact that the episodes each come from the same season. As if that isn’t enough, the episodes are also presented in an order that is at least partially chronological. Given, it’s not entirely chronological since the episodes that separate them aren’t there. But in general, they are presented in the same order in which they appeared in their original broadcast. All things considered here, the episodes prove hugely important to this latest LPS collection. Of course the episodes would be nothing without their writing. The writing is what connects the friendship theme from one episode to the next. At the same time, the stories presented from one episode to the next stand on their own merits. In the set’s opener “Sleeper,” Blythe’s furry friends meet a new raccoon friend named Mr. Von Fuzzlebutt. Yes, that’s really his name. Everybody really likes him, especially one specific member of the group. The thing is that this new friend is nocturnal. So he spends much of his time at LPS sleeping. This leaves Sunil and Vinnie to have to make it appear that MR. Von Fuzzlebutt is awake when he’s not. The result is a story that has been done so many times before in so many different TV shows and movies. One of the most notable of those others is the famed 80s buddy comedy Weekend at Bernie’s. Keeping that in mind, the story at the center of this episode is one that will definitely entertain today’s parents (many of whom grew up in the 80s) just as much as their children. The story behind this episode is just one example of what makes the writing within LPS: Making Friends so important to the set’s presentation. The story behind “Why Can’t We Be Friends” is another example of the importance of the episodes’ writing. “Sleeper” is a key example of what makes the writing behind this set’s episodes so important. It is just one key example of what makes the writing so important, too. The work behind “Why Can’t We Be Friends” is another example of what makes the writing so important. Yet again here is that theme of friendship. At the same time, the story stands on its own merits. In the case of this episode the LPS pets meet a friendly spider named Webber. Only not everybody is a fan of Webber at first. Sunil, as it turns out, is deathly scared of Webber because of his own fear of spiders. This is funny in itself considering that Sunil is a mongoose, who is much bigger than Webber. It’s like the stereotype of an elephant being afraid of a mouse. Of course over time Sunil learns those all-too-important lessons about stereotypes and pre-judging others. Thanks to that lesson Sunil and Webber become friends in the end. That story and lesson make this episode stand out clearly from the set’s other episodes even as it carries the set’s underlying, connective theme. It is hardly the last episode that can be cited in proving the importance of the episodes’ writing, too. The set’s two-part closer “It’s The Pet Fest!” is one more prime example of what makes the writing in these episodes so important to its presentation. The writing within “Sleeper” and “Why Can’t We Be Friends” clearly shows why the writing in this set’s episodes is so important. The stories stand out from one another but the underlying theme of friendship is clear and present. It is just presented in different fashion within each episode. That is a great thing, too. They are not the only episodes to show the importance of the set’s writing. The set’s two-part closer “It’s The Pet Fest” shows that importance just as much as “Sleeper” and “Why Can’t We Be Friends.” This episode sees Blythe organizing a fundraising concert for a good animal cause. There’s just one problem. She didn’t file for the necessary permits in time. As a result she has to make friends with her mortal enemies, the Biskit Twins for help. It is yet another familiar plot element that has been used in so many movies and television shows before as is the case of a young person arranging a benefit concert. Even though they are not exactly new plot elements, the show’s writers still manage to successfully keep both lot elements fresh and entertaining in this episode. They do so by not only having Blythe bring in a band that is world-famous in the LPS universe, but also by having the LPS pets put on their own concert, too. In the end Blythe and the Biskit twins do end up working and existing together. And the benefit proves to be a huge success. Blythe even gets a big new honor as a result while the Biskit twins are left literally high and dry to wrap up the episode on a high note. Again, the episode presents that underlying, recurring theme of friendship yet still holds its own against its counterparts here. That being the case, the episode’s story and its theme come together to show just as much here the importance of the episodes’ writing as “Sleeper” and “Why Can’t We Be Friends.” “Room Enough” shows that importance, too. Together with the set’s other noted episodes it shows even more the importance of the writing within these episodes. All in all, the writing within every one of these episodes shows with full clarity the importance of the writing within the episodes. They show why the writing is just as important to the set’s presentation as the episodes themselves. The episodes and their writing are together not the set’s only important elements. The musical numbers that have been incorporated into the episodes are important to the set’s presentation, too believe it or not. It’s time to rev up those engines once again, everyone! The Sixth season of Full Throttle Saloon hit YouTube today. To keep up with the latest sports and entertainment news and reviews, go online to http://www.facebook.com/philspicks and “Like” it. Fans can always keep up with the latest sports and entertainment news and reviews in the Phil’s Picks blog at http://philsicks.wordpress.com. Doll Skin is hitting the road this summer with OTEP. The up-and-coming rock quartet has announced that it will join OTEP on the upcoming Equal Rights Equal Lefts Tour. The tour launches July 21st in Sonora, California and currently runs through August 29th in Santa Ana, California. The roughly four and a half week tour also features dates in the Mid-Atlantic region, the Northeast, Midwest, and Southwest. It is the band’s latest push in support of its new LP In Your Face (Again), which is a full-length version of the band’s 2015 digital EP In Your Face. In Your Face (Again) was released April 15th via EMP Label Group/eOne Distribution. The band’s current tour schedule is noted below. Shout! Factory has two more new additions to its recently launched IMAX 4K UHD series on the way this July. Flight of the Butterflies and Rocky Mountain Express will be released Tuesday, July 12th. Both programs will be presented on separate standalone Blu-ray and 4K UHD/3-D Blu-ray platforms. 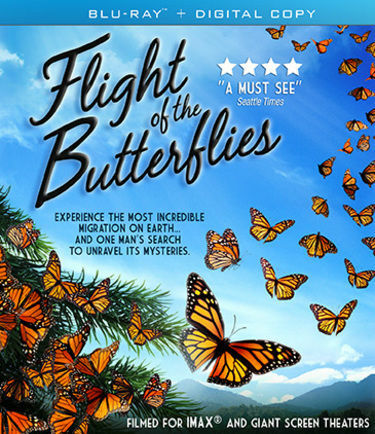 Flight of the Butterflies follows what is one of the most incredible of nature’s phenomena in the migration of the monarch butterfly. It follows a husband and wife scientist team as they follow the butterflies’ annual migration. It is the only film for IMAX® theaters to ever sweep all of the Giant Screen Cinema association’s annual awards. Included as bonus material in the documentary are: trailers, image gallery, making of featurette, and a very special message from Lic. Felipe Calderon Hinojosa, President of Mexico from 2006 – 2012. Audiences can view the trailer for this program online now via Shout! Factory’s official website. The second of Shout! 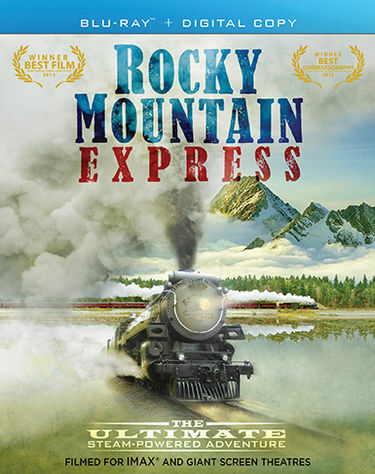 Factory’s new IMAX home offerings, Rocky Mountain Express takes audiences on an exhilarating train ride through the Canadian Rockies while also presenting the history of America’s first transcontinental railroad and its construction. The program was recorded on authentic 15 perf. 70 MM negative and originally presented in IMAX theaters nationwide. Audiences are taken along for the ride thanks to cameras mounted on-board the program’s featured train and above on-board a group of helicopters. The trailer for Rocky Mountain Express is also available online via Shout! Factory’s official website.